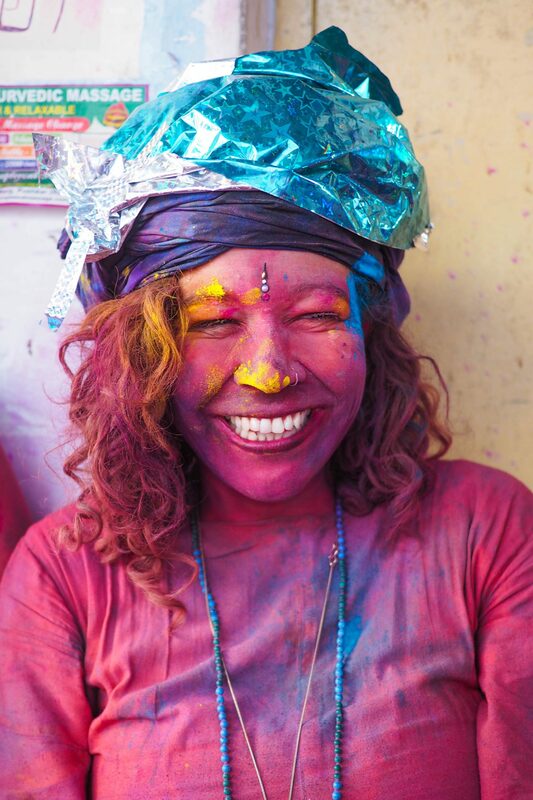 Back in March 2017 on my first travels through India I spent the incredible festival of Holi in Pushkar which is one of the biggest traveller hubs for this hectic colourful festival. 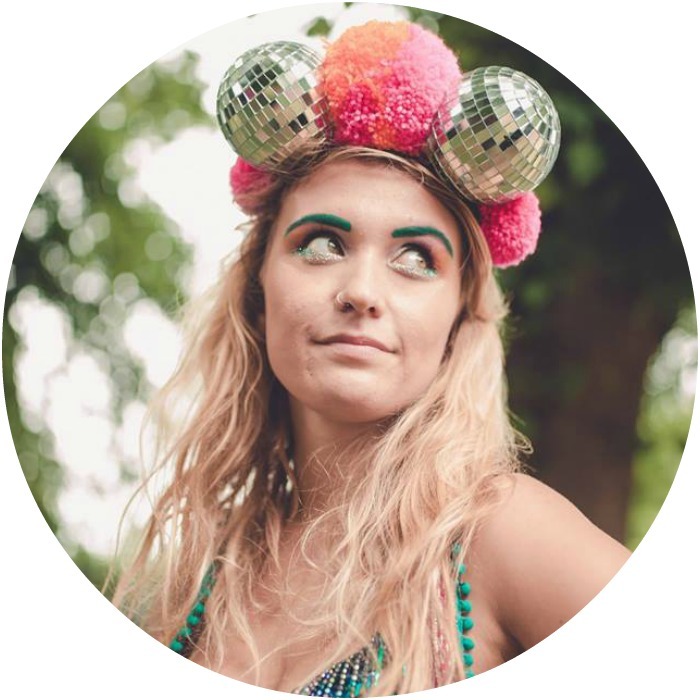 I’ve had quite a few questions about my experience and always seem to have a load of mates who find their way there every year so I thought I would finally put together this post about my experience – and share these wonderful photos of my friends! It wasn’t necessarily all fun and games though so make sure you read to the end for important tips on how to prepare, and for what I really thought of the experience. 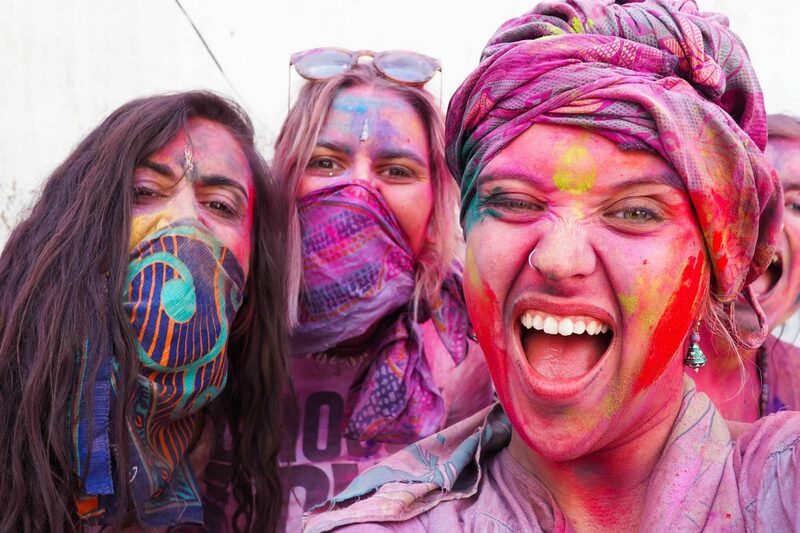 What is Holi? 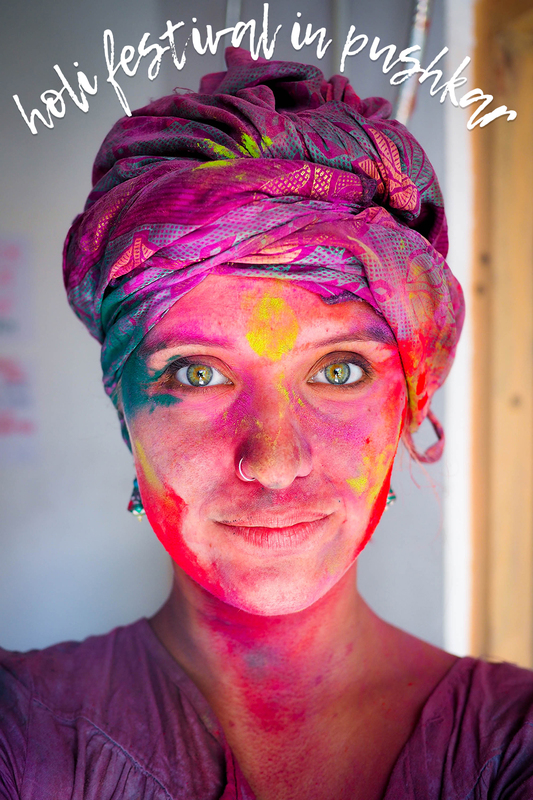 Marking the arrival of spring as well as the downfall of the demon Holika – Holi is a hindu festival of colours. Where is Holi? 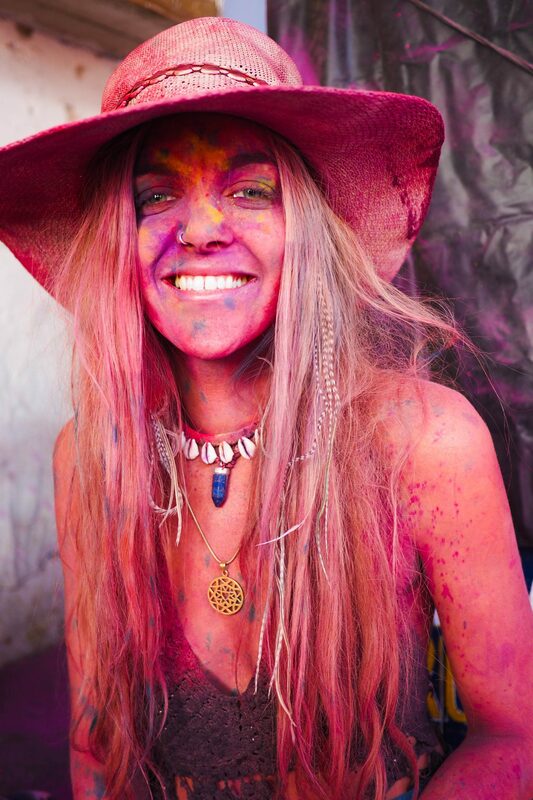 All over India but primarily in the North – here I’m talking about my personal experience at Holi festival in Pushkar, Rajasthan, India. When is Holi? March time as it marks the end of winter but it varies year on year depending on the moon. 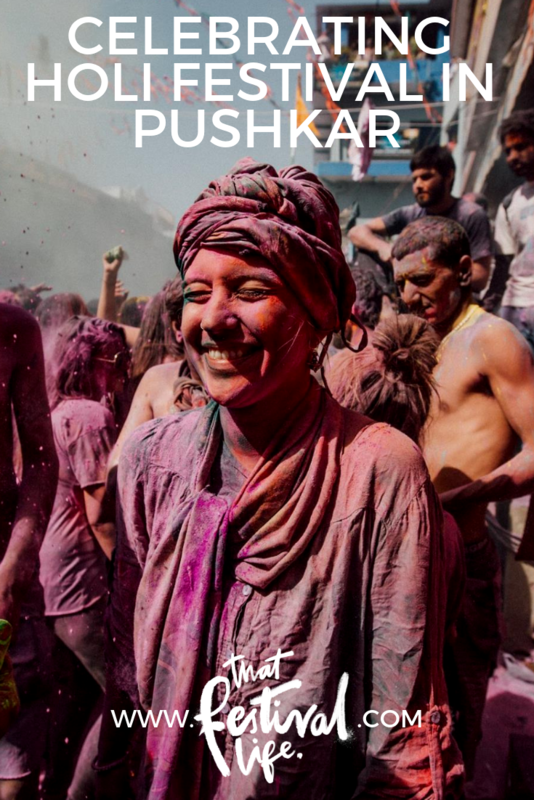 Holi in Pushkar in 2019 is 20th & 21st March. It is an ancient festival which has been celebrated as far back as the 4th century!!! The night before the more universally known paint fiesta, is Holika Dahan. For Holika Dahan in Pushkar the main square is full of people with the local gypsy drummers drumming in the centre and everyone taking part in this amazing stick bashing dancing thing – this is also the case for a several nights before as well. This was probably my favourite part of the celebrations actually! Such a lovely vibe, someone let us on their roof and we watched the dancers and the confetti explosions fly through the sky! There’s a big bonfire and this evening represents the banishing of the demon ‘Holika’. 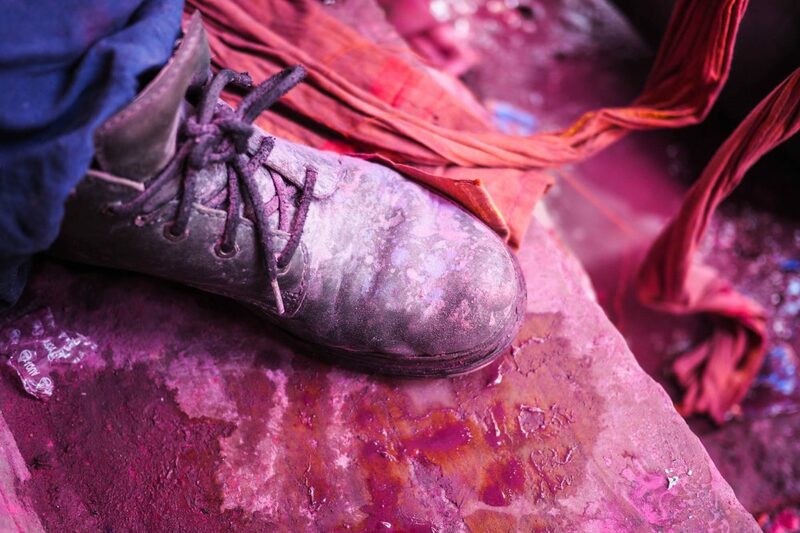 The day after is Rangwali Holi and started at 7 am with the screams of little children running wild on the streets with paint and water guns flying everywhere… followed shortly by the thumping of the extremely loud ‘music’ coming from the square. 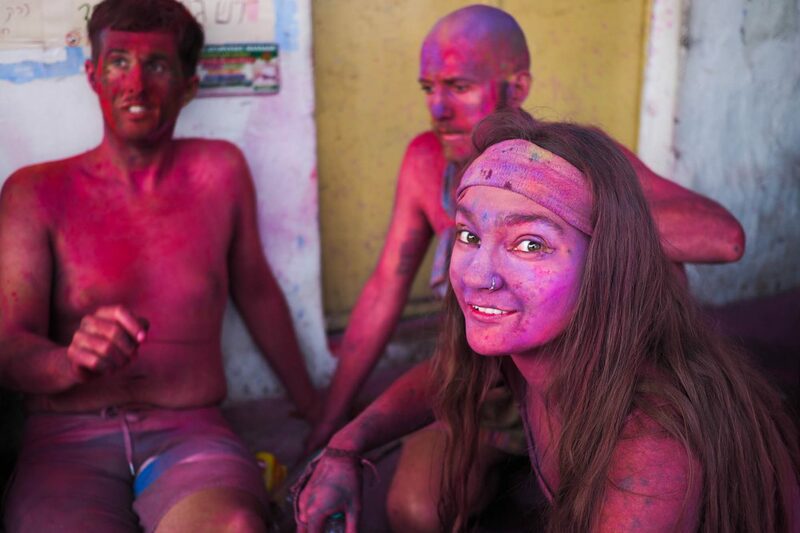 Our guesthouse was just off the main square so we all got ready there before heading off – if you’re at Holi there are a quite few precautions you should take before diving into the melee, hang tight, I explain them all at the bottom of this post! 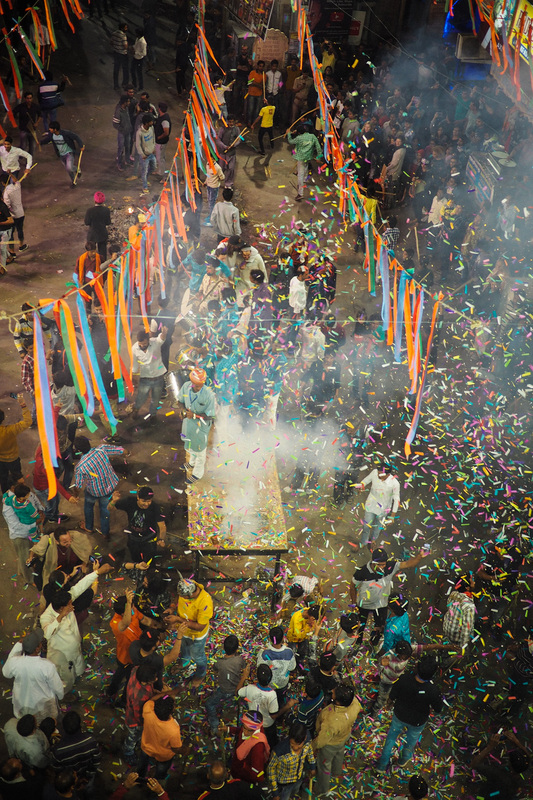 We wrapped up, left our things at home, tentatively stepped out into the street where we were immediately greeted by children smearing the powdered paint onto our faces face and shouting ‘happy holi‘… Then we wandered out into the square, getting pelted a few more times on the way! Not just powder paint either but some pretty hench water guns with the paint mixed up with water. 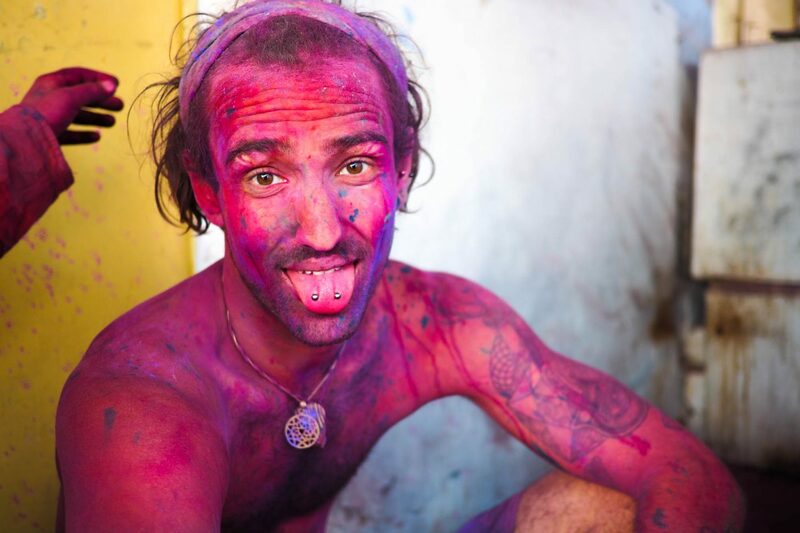 One of the weirdest things for me about Holi in Pushkar is the music in the square, thumping electronic / psytrance / occasionally recognisable and really loud! 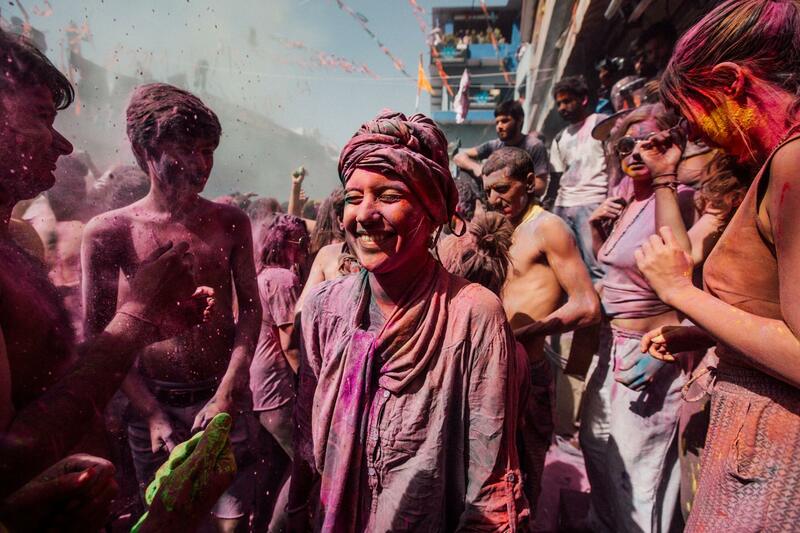 The festival in Pushkar is less of a traditional celebration and more of a festival to attract tourists… I mean it’s basically a rave! The whole square is PACKED for hours with people dancing and stacks of speakers. If being in the middle of it doesn’t sound like your idea of fun, there are plenty of four storey restaurants and rooftops through the town and surrounding the square, where many people flee for some relief and to relax… the vibe was pretty amazing, the palpable excitement had been growing for a few days in the town and this was its very colourful crescendo. What starts as individual colours mush together very quickly to a bright reddish pink and soon the water and the paint have come together and flow down all the streets like a river… the whole town become pink for weeks! 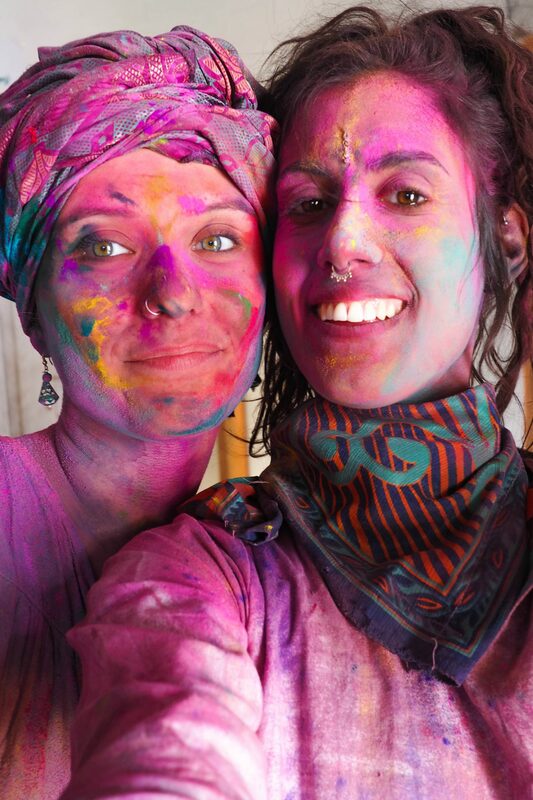 So I’ll be real here – I didn’t particularly enjoy the day time festivities of Holi that much! It is a pretty intense experience – as I said before the Pushkar festival is geared towards tourists rather than being a traditional Hindu celebration and also attracts hundreds if not thousands of men from surrounding cities – I saw no Indian women getting involved and everyone was really drunk even though Pushkar is a dry city. About 90% of the crowd were men. 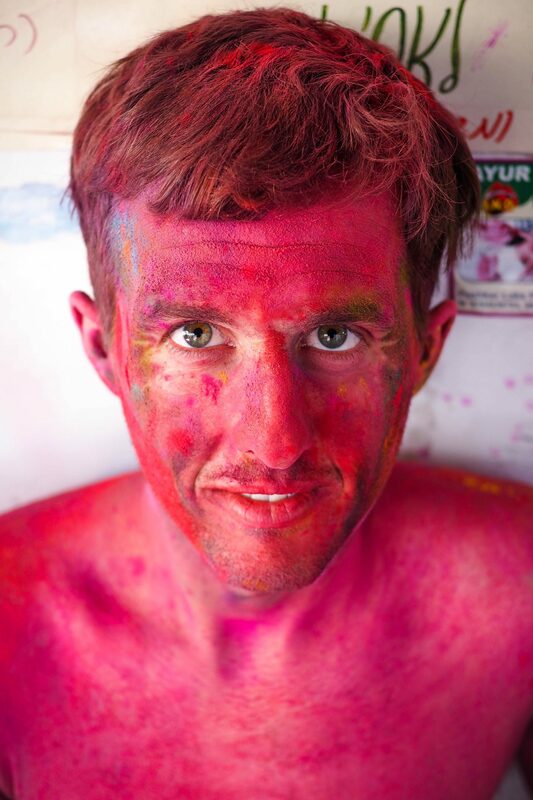 I had been pre-warned about a ‘darker side‘ of Holi… and by darker side I mean unwanted touching and groping. This meant I was really on guard all day and found it pretty exhausting – crowds in 39 degree heat are pretty nackering anyway, let alone when you’re paranoid someone’s gonna put their hands where they shouldn’t. I didn’t spend much time in the crowd perhaps because of this. I personally wouldn’t call any of my experiences sexual harassment but I was super wary and cautious and got pretty irritable at the guys getting up in my grill. Smearing paint on my face with an excitable ‘happy holi’ started out as innocent but the more booze that was drunk, the more bhang lassis consumed, the busier it got, the more it was likely to get in my eyes or mouth, the more tiring it was, the less I could escape from it and the less it mattered when I said no. This problem isn’t a secret, there was even a huge campaign launched in the big cities last year, #HoliNotHooliganism, but I met a lot of tourists didn’t seem to know that it was a thing and dived in a bit unprepared and unaware. 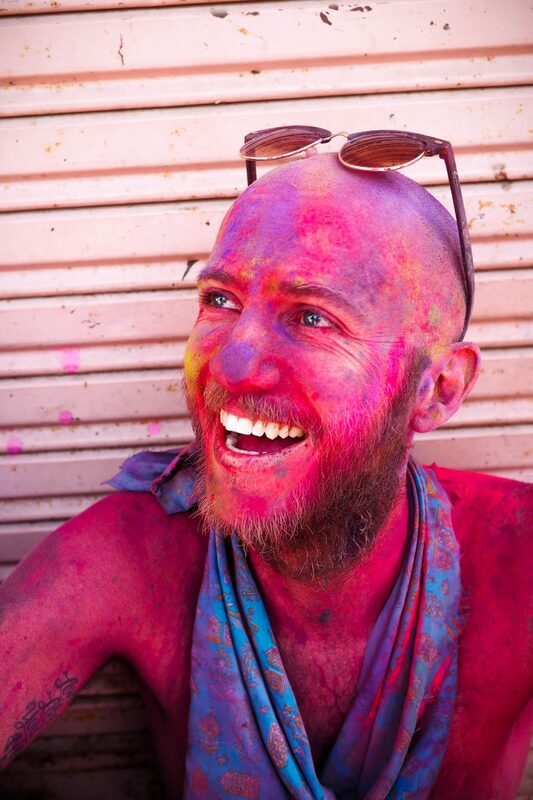 I know it’s not just Pushkar either because since coming home I’ve done a bit of research and I’ve found a whole heap of worse Holi experiences; Alex from Lost with Purpose who had some experiences in Varanasi that were not great but who has some good tips for women who would want to visit. 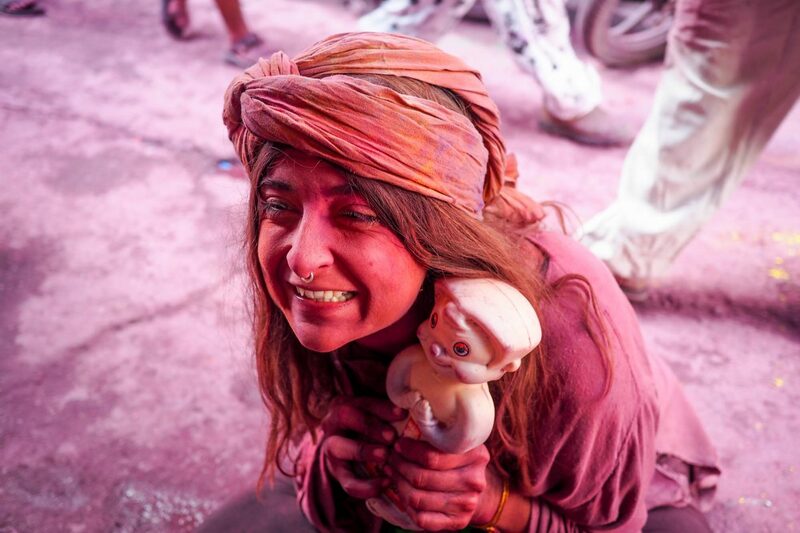 Aleah has also written a really interesting article over on her blog about ‘Eve teasing’ and her experiences at Holi in Varanasi too. Most of my friends (half women – half men) fully embraced the hecticness danced in the square all day and had a great time with no problems. They did have a bunch of local friends who went with them which might have helped and is something I would definitely reccomend! 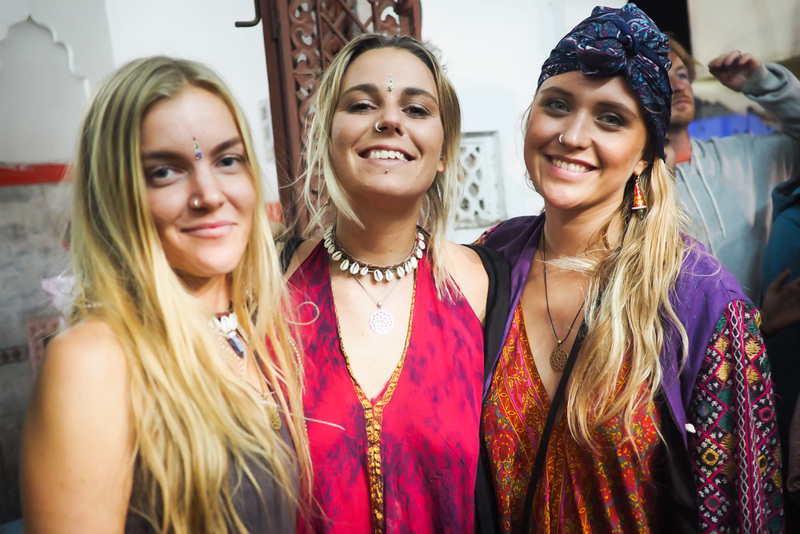 I definitely also need to add that I do feel uncomfortable writing this whole section as I am really cautious of sounding like I’m tarring all Indian men with the same brush, this isn’t a sweeping generalisation and was just my personal experience of this festival not my general experience of my times in India. Also if the whole thing doesn’t sound up your street then please don’t let it put you off coming to Pushkar at all… Pushkar is possibly my favourite place in the world, full of incredibly friendly and hospitable people and the only reason that I haven’t done more travel blogs about it yet is that I don’t even know where to start!! 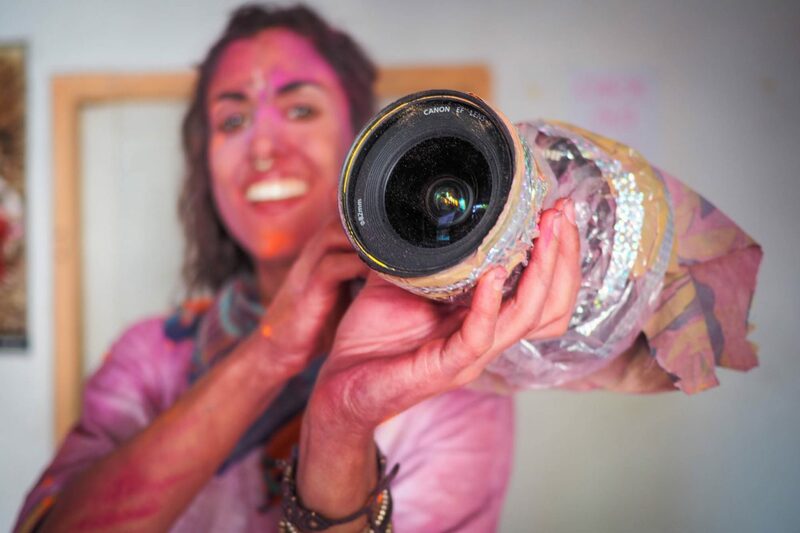 How to protect your camera at Holi Festival! Book early! 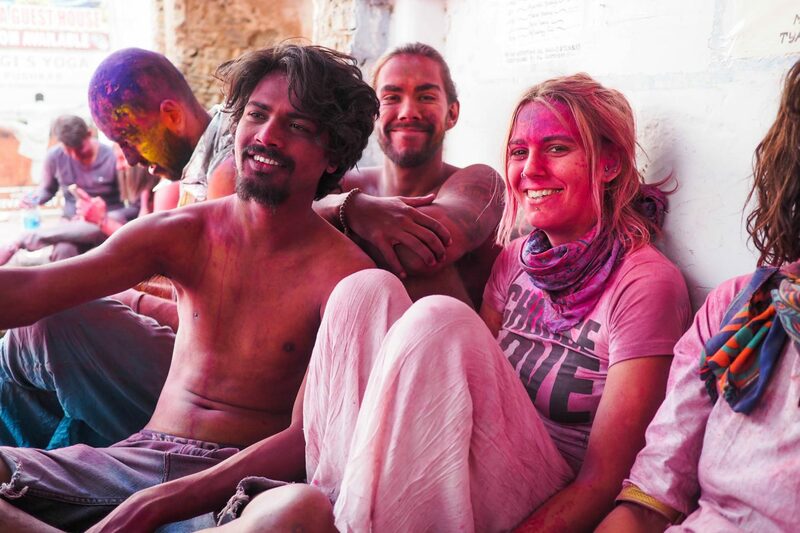 everything gets totally booked out over holi weekend and is a lot more money – I stayed in Shree Savitri Palace… since then I have stayed there for all of my trips to Pushkar, I love the family who live there they have really looked after me and my friends on all my stays. If you want to stay somewhere authentic, cheap and that is basically a palace with a temple in it then this is the one! Buy your paint from street sellers before… it comes in powder form and it’s available everywhere you won’t miss it. 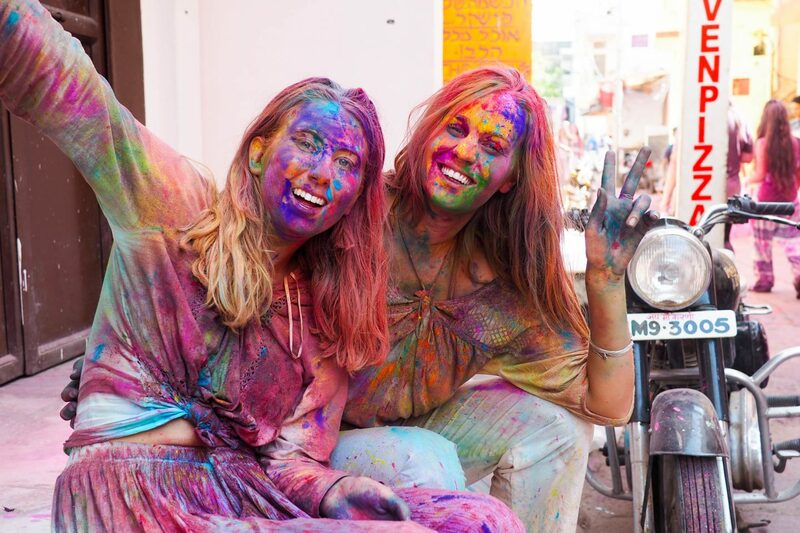 Cover your skin and hair in coconut oil (and I mean everywhere) to stop the paint from staining and to help it slide off in the shower after – you can get this easily in loads of shops in Pushkar. If you don’t want your hair to be a funny colour for weeks – not saying this isn’t a valid fashion choice – then cover it up… I made a turban out of an old dress which also covered my ears, win win. It can get in your eyes and mouth and you can breathe it in too so think about bringing something to cover your mouth – we made scarves out of an old sarong. Most people try to wear something light coloured so the paint shows up on it best. If you’re a guy… my pal Johnny said its pointless to wear a shirt as it will promptly be ripped off and thrown on to the washing lines above the square! On that note – maybe don’t wear anything you wanna be able to wear for Sunday best again! If you do bring a phone or a camera… protect it, see above for Zoe’s plastic / tape / fabric concoction! 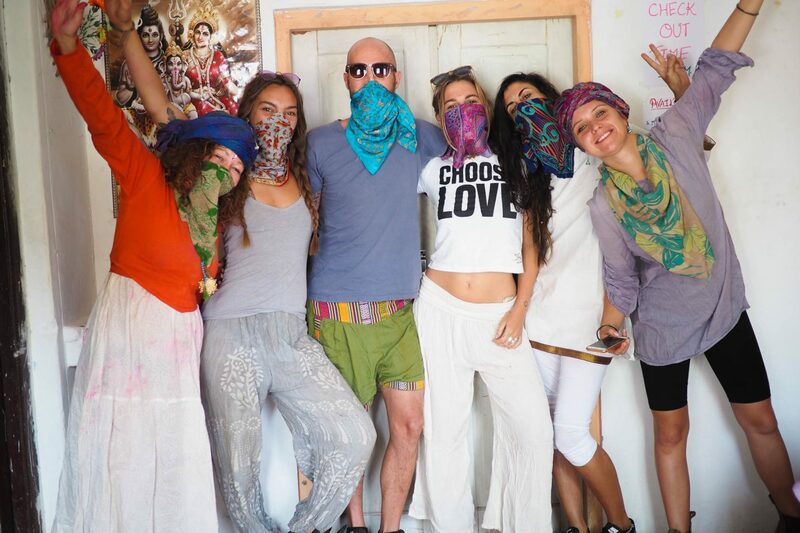 Previous Post 9 badass women enacting positive CHANGE to follow on Instagram now! It`s a chance that makes you better at responding appropriately to what people are doing. There’s no getting around it. Travel sparks creativity.